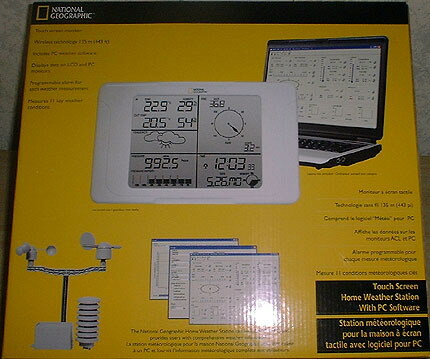 A kind benefactor has sent us a mini-weather station that is for "indoor/outdoor" use! This will allow for a myriad of experiments and readings we've been dying to do while on investigations... and we look forward to "breaking the unit in" over the next few weeks. Again, our many, many thanks to the kind person who's donated this piece of equipment to our cause!